Select your closest venue below and book to join the fun! 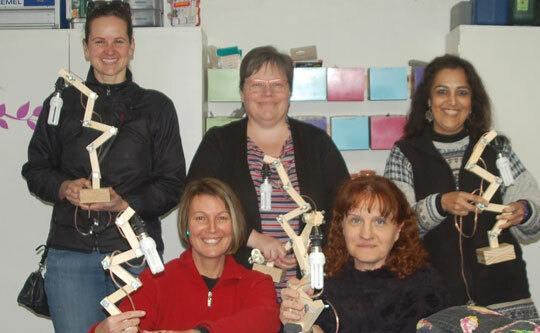 DIY Divas offer beginners and intermediate power tools and woodworking workshops, basic home electrical and plumbing workshops, and furniture-making workshops. Everyone is welcome. Content may vary at different venues but all our workshops are HANDS-ON unless otherwise indicated! We provide tools and materials - all you need to take along is a sense of humour! 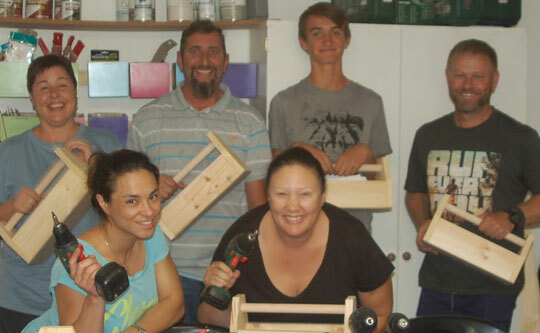 The workshop offers hands-on using a drill/driver and accessories, sander & jigsaw, plus tips, tricks and techniques. The intermediate level covers using larger tools. Covers basic home electrical and plumbing and looks at fault finding, blocked drains, minor repairs, as well as cosmetic changes. Those attending take home a small project made at the workshop and based on workshop content (electrical or plumbing project). Not available at all venues. 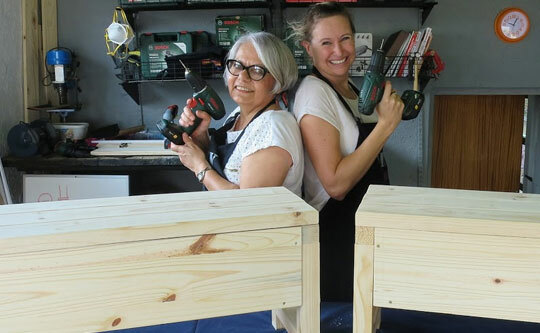 We offer a variety of furniture-making workshops that include upholstered storage ottomans and headboards, garden furniture, household furniture and decorative pieces. 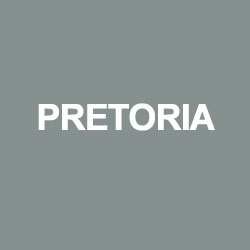 We provide all the tools and materials required for each project and finishing is usually done at home. 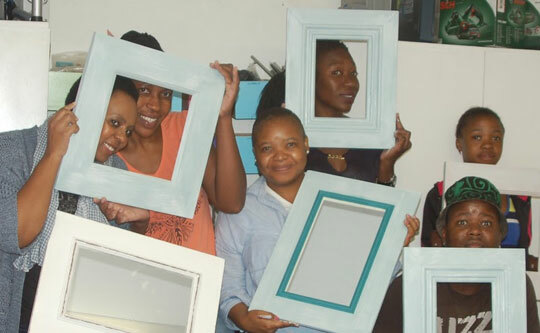 We offer a variety of workshops that cover making picture frames, using Dremel tools and accessories, oversize wall clocks, and various other crafty DIY project. Established in 2007 and owned by Janice Anderssen, DIY- Divas has empowered over 6,000 individuals since its launch. 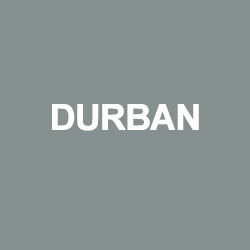 DIY Divas is a division of Home-Dzine.co.za. 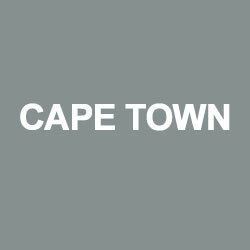 Empower yourself with the skills and then visit Home-Dzine.co.za for free craft and DIY projects. Very thankful for the wonderful workshop today - best money ever invested! My son feels like he has a chance of becoming more handy at home and I can see his confidence has had a big boost. Thank you so much - not everyone can transfer knowledge and share experience and you certainly have that skill. We enjoyed it tremendously!